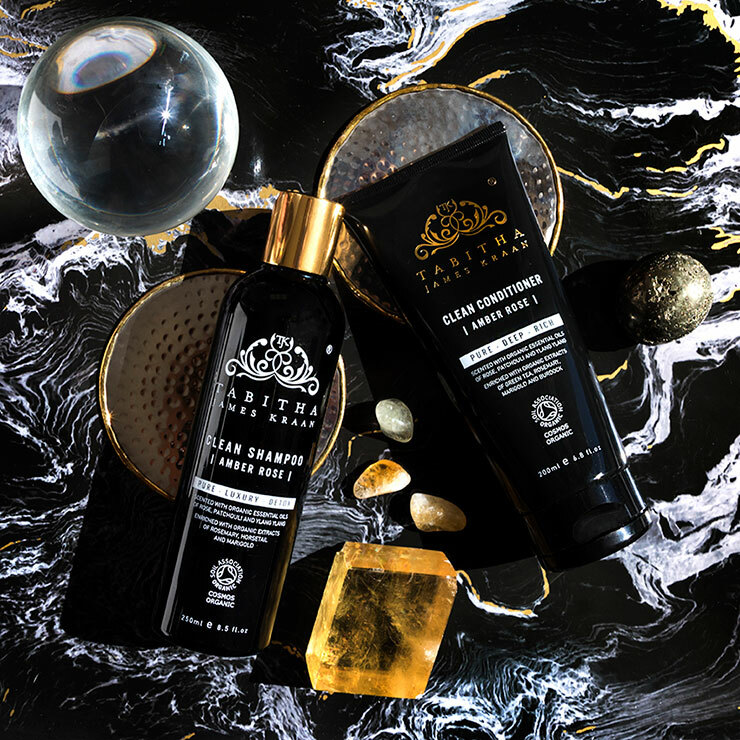 Achieve long-lasting moisture and high shine in a luxurious Soil Association and Cosmos Organic certified rinse-off conditioner. 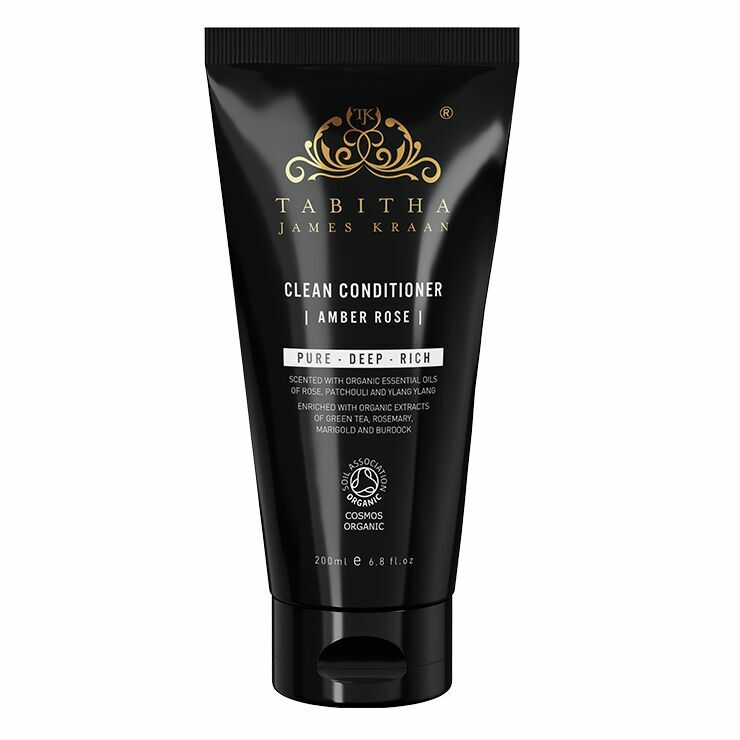 Tabitha James Kraan's Clean Conditioner is formulated without solvents or petrochemicals so it delivers the deep moisture of a professional-grade conditioner and color protection from healthy botanically-based ingredients. 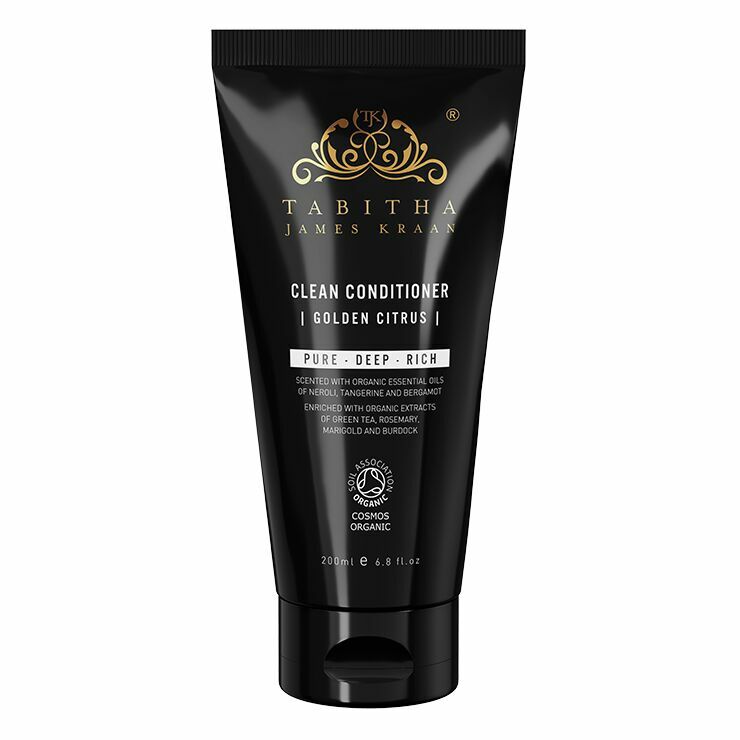 This conditioner leaves locks smooth, glossy and ultra-hydrated while depositing hair-fortifying extracts of rosemary, horsetail and marigold. 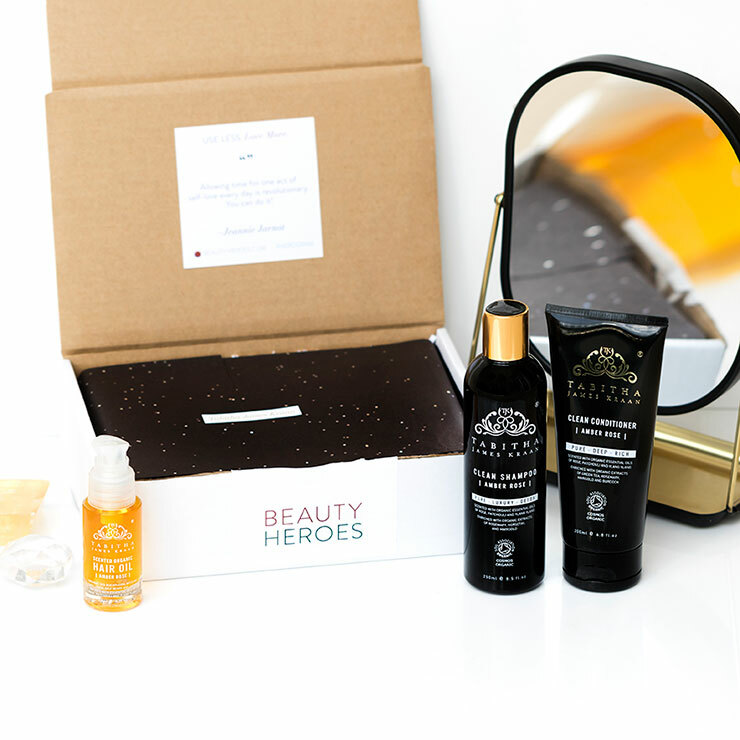 The gentle scent comes from with organic essential oils of rose, patchouli and ylang ylang. 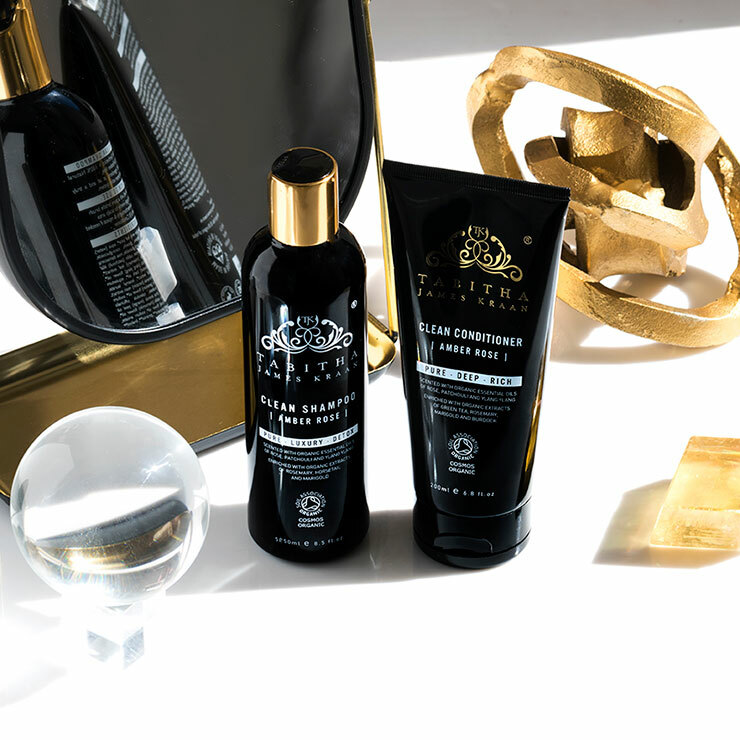 After washing with Clean Shampoo, apply from mid-lengths to ends and leave on for 2 to 5 minutes. 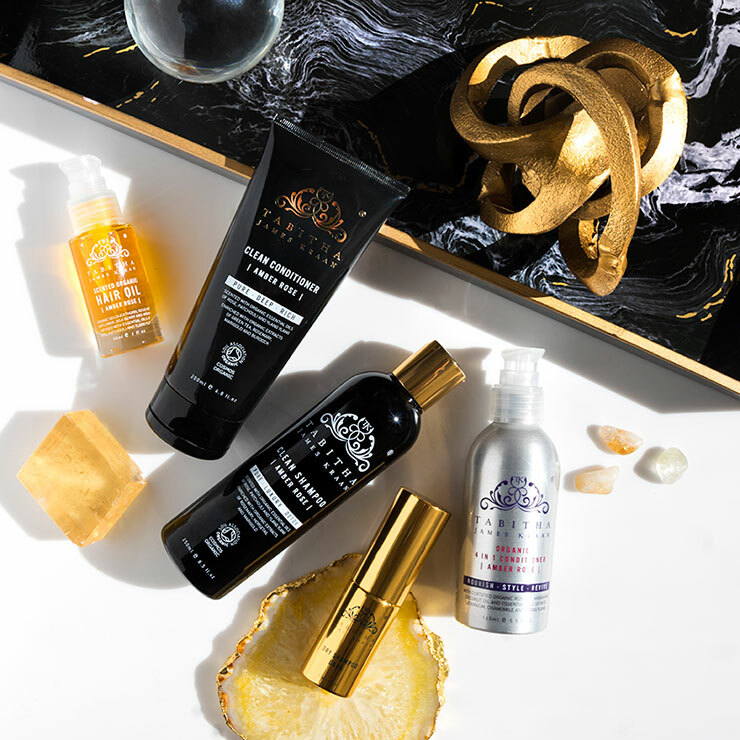 Rinse and style as desired. Just like the hair oil, I love the scent of this conditioner. Somehow, my fine, long hair with dry ends doesn't find this that moisturizing. For someone with normal hair, this likely works wonders. I love the amber rose scent and how it performs! It's crazy how my hair just absorbs it. You don't need a lot (though it seems like you do since it sinks right into the hair- don't add more). I apply it from mid to ends, works every time. It leaves my hair moisturized/hydrated but not weighed down. I've been a TJK fan for only a year but everything seems to work for me. 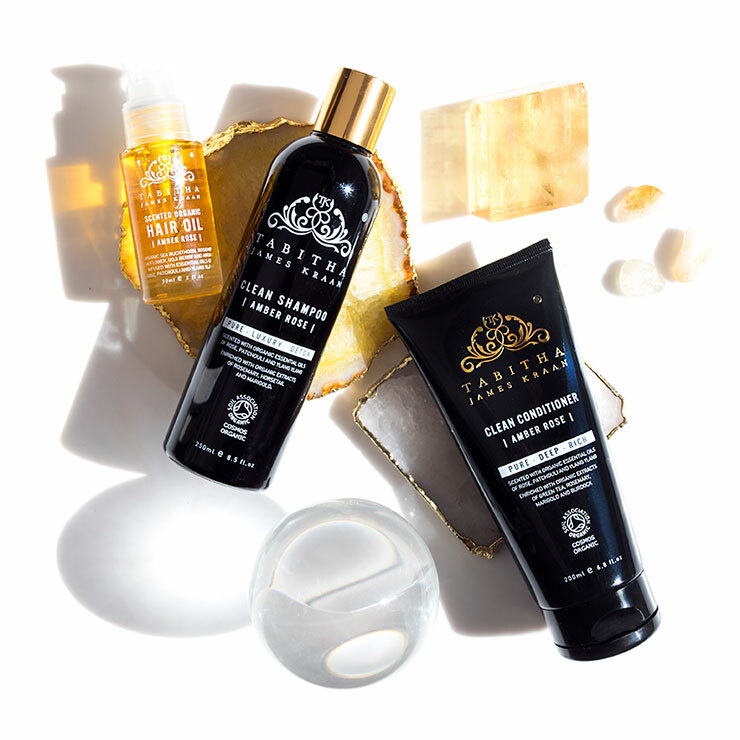 Love the smell and it does moisturize well but using both the shampoo and condition duo left my fine hair dull and lifeless and oily. The shampoo is very drying which can make you feel the need to use a lot of conditioner. But a little goes a long way. My mother even commented on how dirty my hair looked when I was using this set. Really made my hair silky and soft, tangle free and amazingly when combined with the shampoo THICKER. As in each strand of hair looks thickers. Loves this stuff.